Welcome to Carlos Pointe 124. 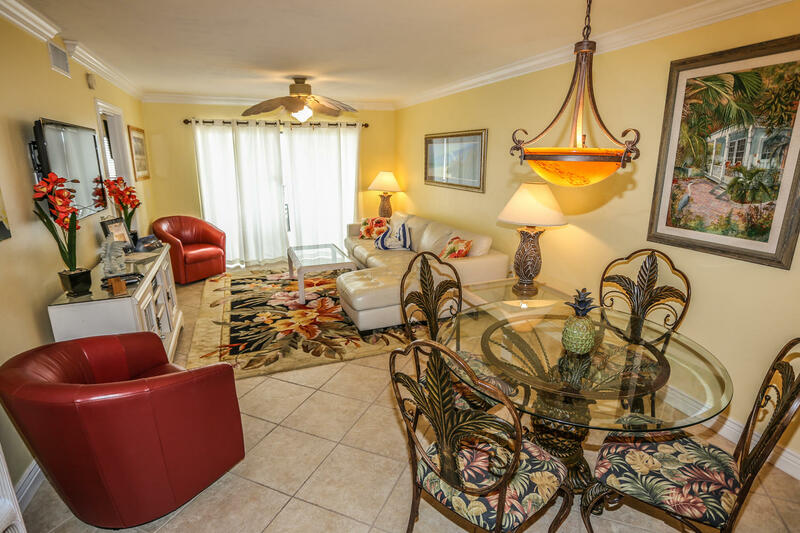 This remodeled, elevated first floor condo, provides breath taking views of the Gulf of Mexico from almost every room. 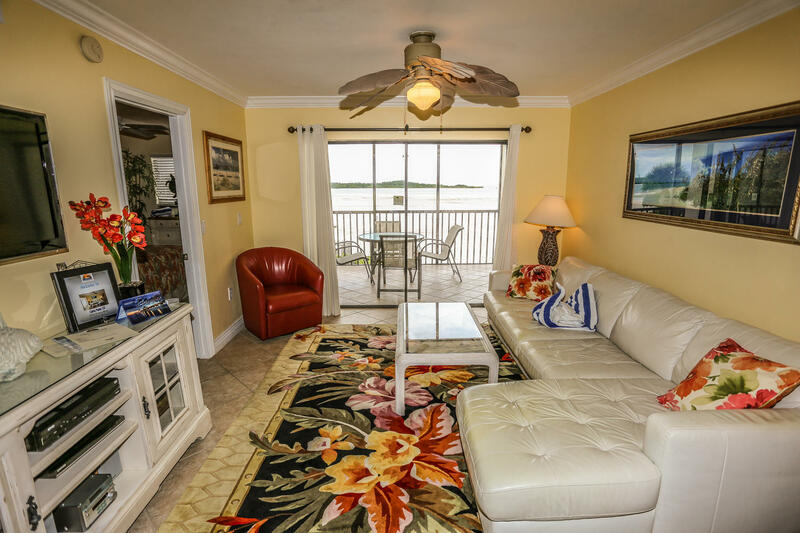 Walking through the front door you will see the sun glistening off the Gulf waters. The great room is infused with natural light from the wall of sliding glass doors leading out to the lanai. The remodeled kitchen is immediately to your right. Granite counters, custom wood cabinets and stainless steel appliances are just a few of the upgrades to this kitchen. 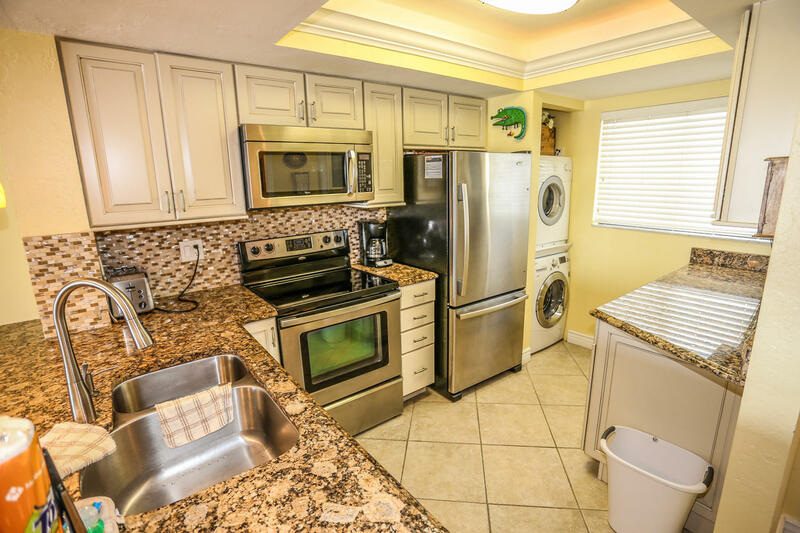 The owners have carefully stocked the kitchen with everything you will need for preparing your meals while here on vacation. There is a breakfast bar allowing your guests to pull up a stool and keep the cook company while in the kitchen. 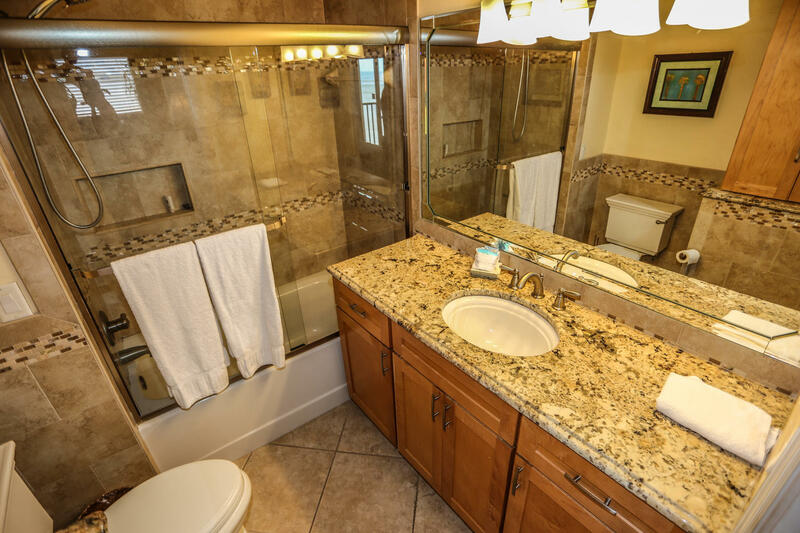 Tucked away neatly in the kitchen are your own private washer and dryer for all your laundry needs. 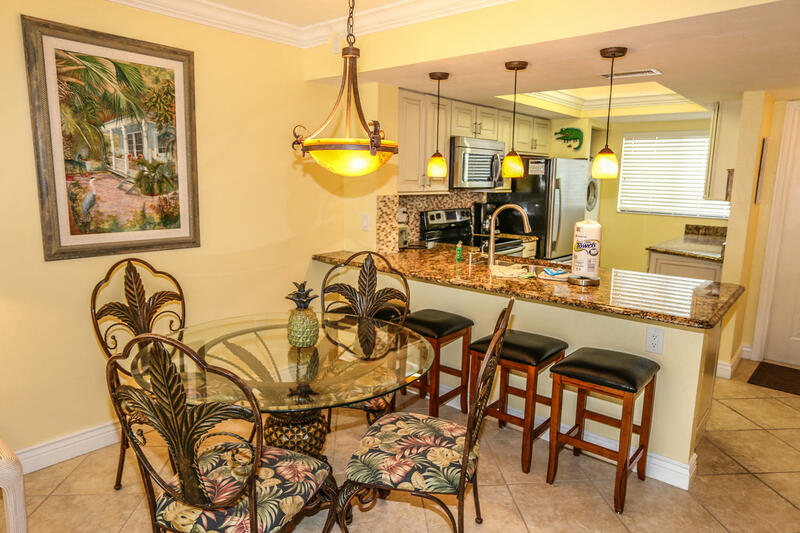 The open concept of the kitchen allows you to see the Gulf waters. The dining room is adjacent to the breakfast bar. This tropical table has cut out palm leaves for the backs of the dining room chairs to remind you that you are living the island life. The living room is spacious and elegant. A stunning floral rug and leather sectional are the focal point of the room. 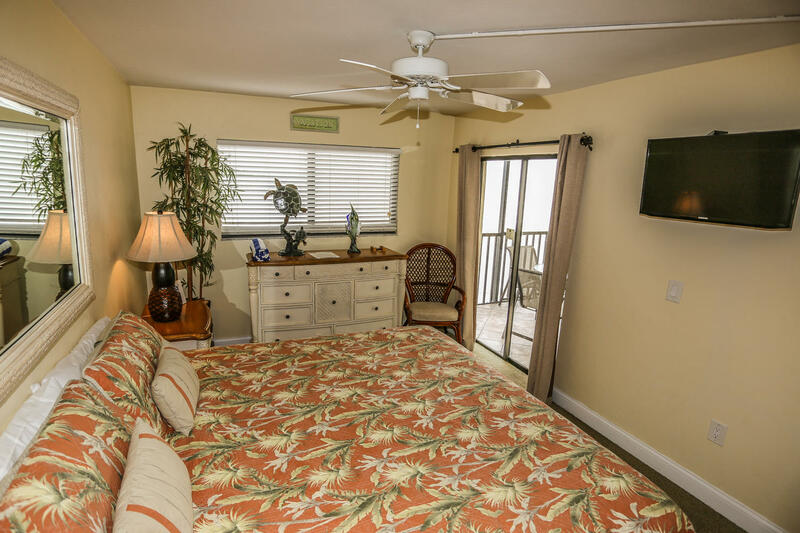 A flat screen TV has been provided for your entertainment; however, with the beach outside your door you may find little time for being indoors. The living room sofa converts to a sleeper sofa for an additional two guests if needed. 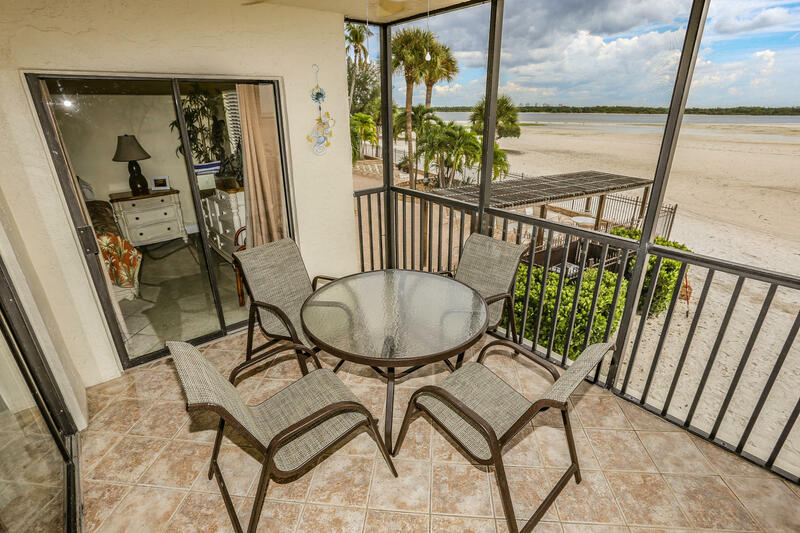 On those perfect Florida days, open the sliding glass doors allowing the Gulf breeze to flow through the condo. Smell the salt air, listen for the faint sound of the waves at the shore line, and let go of the stress of every day life. The screened in lanai allows for bug free days and nights. 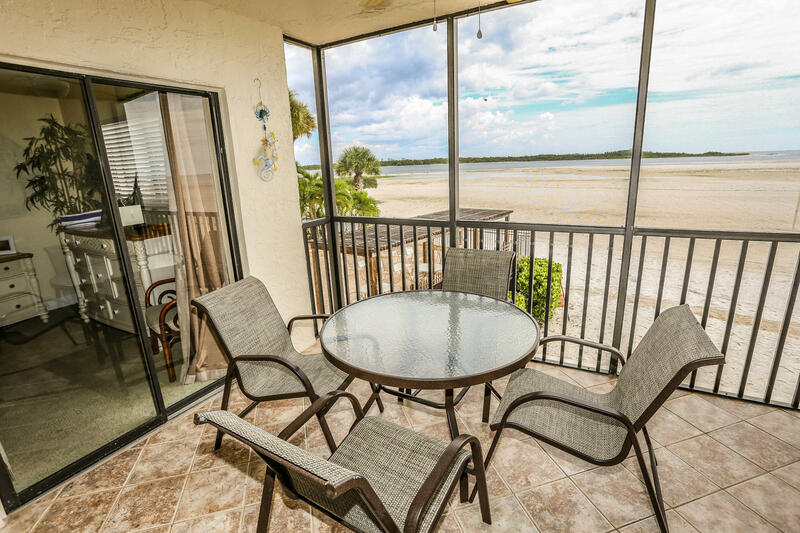 It's a wonderful place to sit back and relax and watch the daily happenings of beach life from the privacy of your own condo. The master bedroom is off the living room towards the back of the condo. 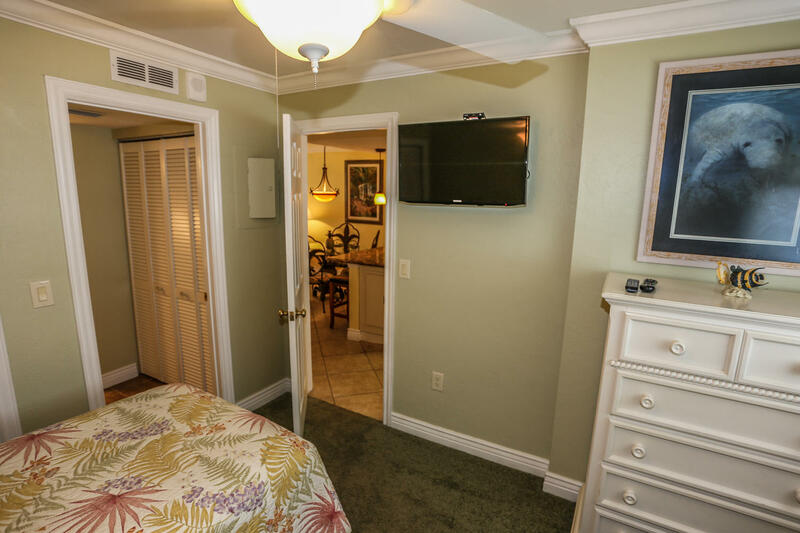 Complete with a king size bed and private in-room TV it provides all the comforts of home and then some. 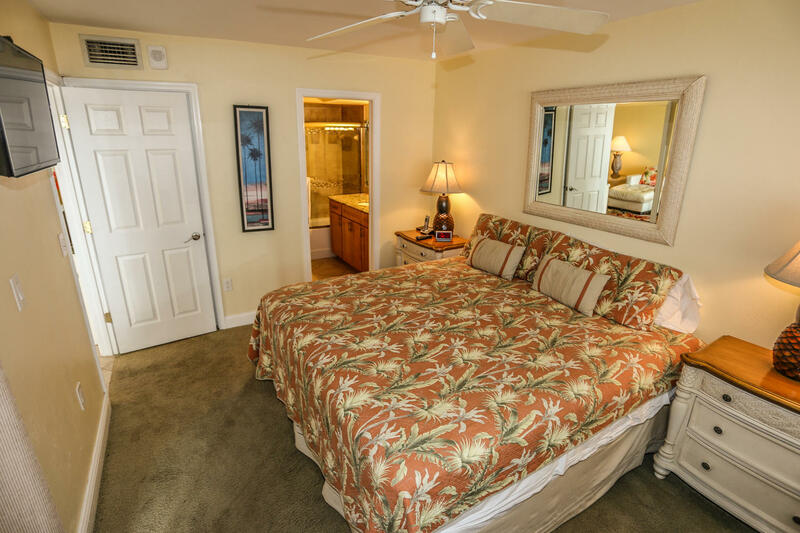 A private entrance to the lanai allows for some late night star gazing without waking anyone. 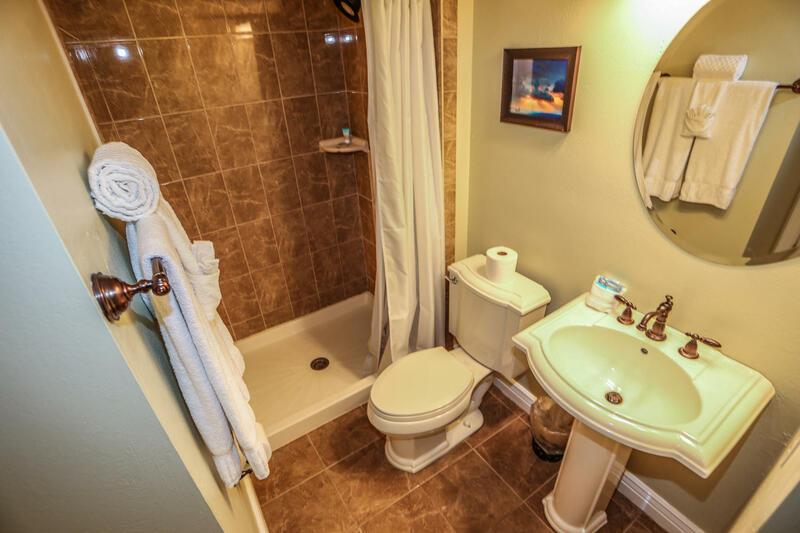 The full ensuite bathroom has been lovingly remodeled. It's has a tub/shower combination allowing for a relaxing soak or an invigorating shower. 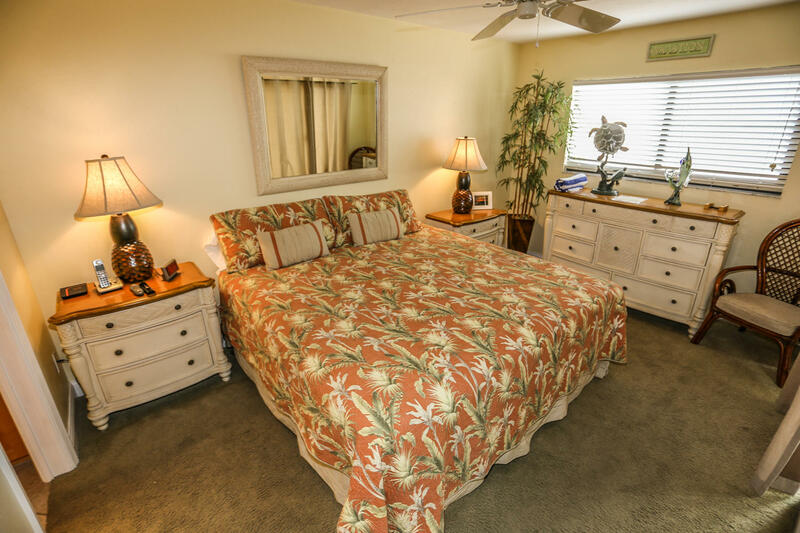 The guest bedroom is located towards the front of the condo. Two twin beds, an in-room TV, and full ensuite remodeled bathroom with a walk-in shower ensures that your guests are well provided for. Heading out towards the back of the condo you will find seven miles of white sugar sand beach beckoning you to explore. 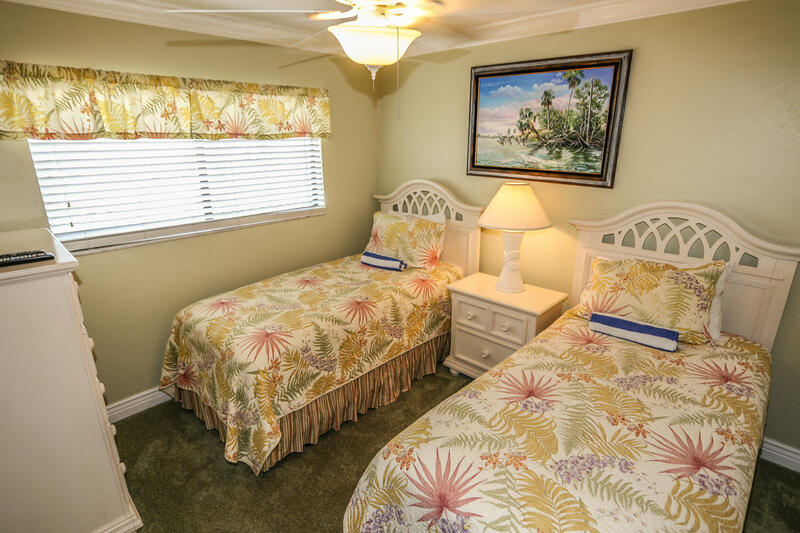 Take a short walk to the south of the condo where you will find beachfront cabana rentals for relaxing at the waters edge in comfort. Heading to the north of the condo are parasailing and Jet Ski adventures waiting for those with an adventurous side to them. 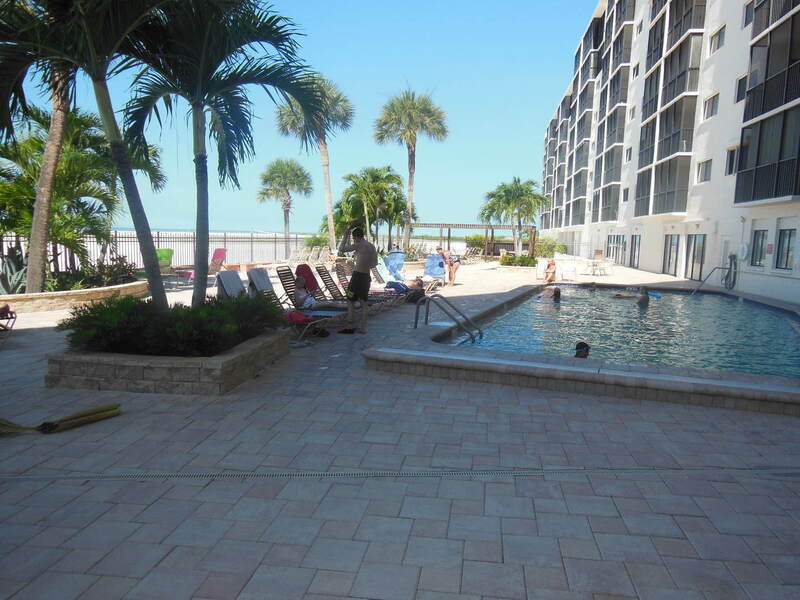 Carlos Point complex is located towards the southern tip of Fort Myers Beach, providing easy access on and off the island. The complex itself offers a beautiful in-ground heated pool beachside, along with a common room with ping pong table and poolside bathrooms. The complex is very well maintained for the comfort and enjoyment of all guests. 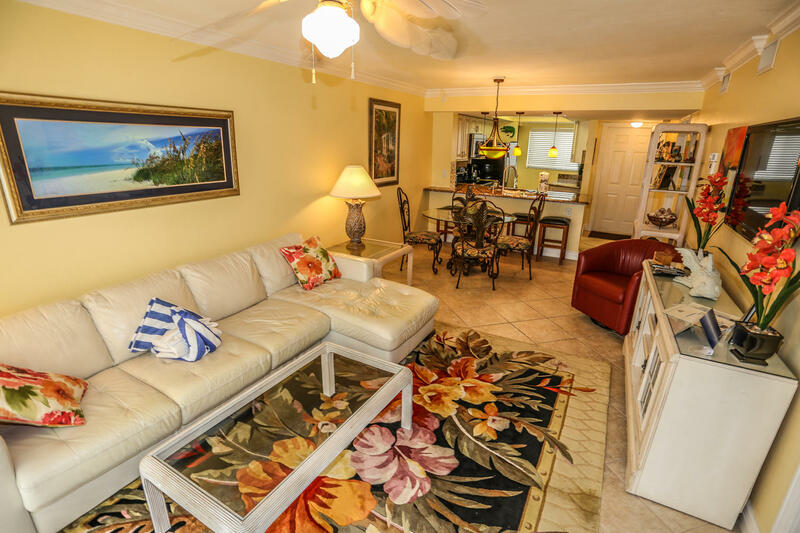 Jump on the trolley outside the front of the condo and head south to Bonita Beach or Lovers Key State Park for miles of secluded beaches and shelling. Head north on the trolley where you can stop at Santini Marina Plaza visiting the boutiques, restaurants and nightlife or book a sunset, dolphin or fishing charter. Head a little further north on the trolley and you will find the beach movie theater which is always a treat. Catch a first run movie and have dinner or lunch while there! Heading further north you will find Times Square and all the fun activities, shops, more restaurants and some great beach bars and live bands to enjoy. 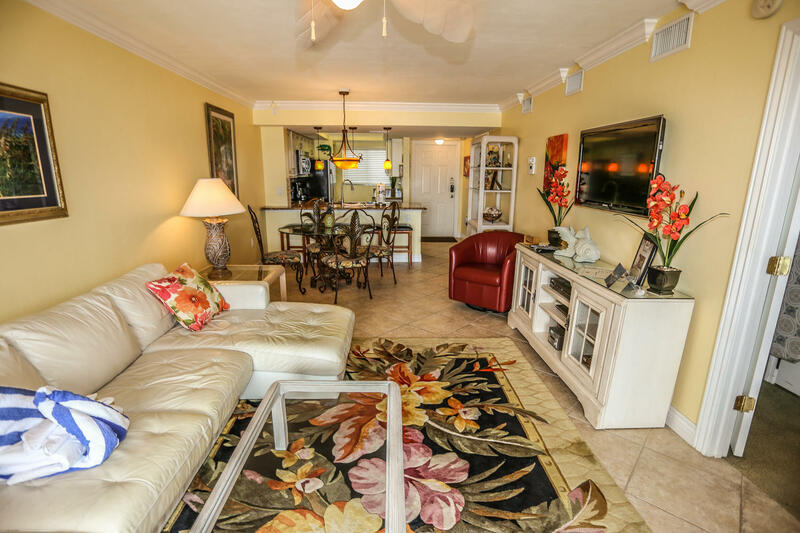 Carlos Point 124 has something to offer for everyone in elegant accommodations. Come and see what everyone's talking about and experience Carlos Point 124 for yourself!